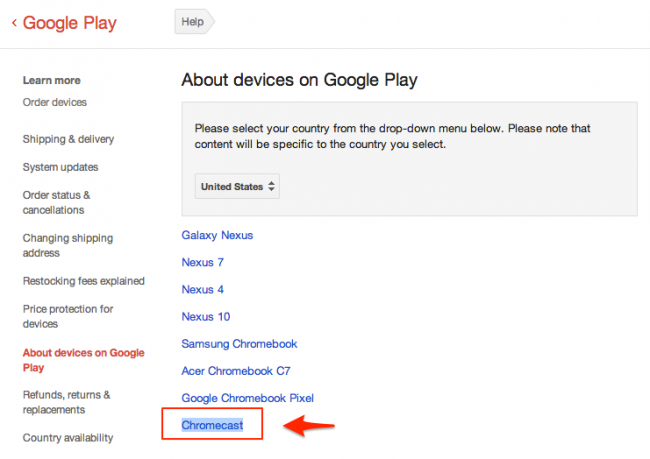 “Chromecast” Added to Google Play’s Devices List, What is It? Remember a few weeks back when we reported that Google was working on an ultra-affordable Chrome dongle for TVs or displays called the Chromekey? At the time, we thought Chromekey would be the device name and that you would be able to “CAST” your Chrome browser from desktop or mobile Chrome browser to any display to have a bigger browsing experience. 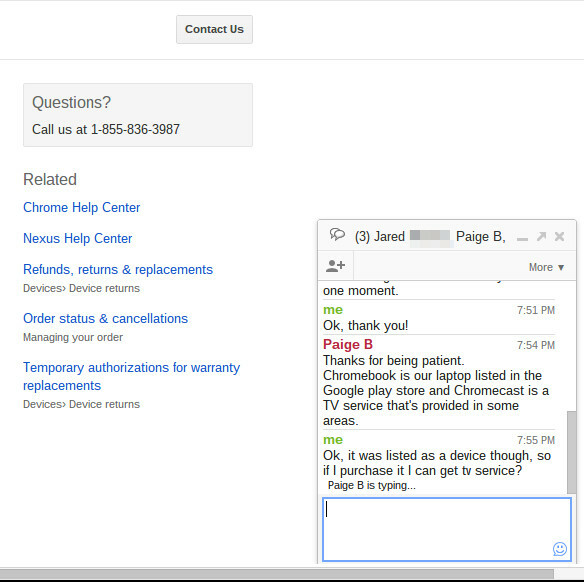 Well, according to Google Play support docs, that device appears to have been renamed to Chromecast. The Chromecast device showed up moments ago through support pages, but it currently redirects to a broken link. We made a prediction on last week’s DL Show that we would see the Chromekey at tomorrow’s breakfast event with Sundar, and that may be spot on. For this device to show in the official supported devices list, an announcement must be imminent. To read our entire report on the Chromecast, hit up this link. Note: We had made an adjustment to the story last night to include screenshots from a supposed Google Play rep mentioning that Chromecast was some sort of TV service, but have since removed that. Our original report was spot on. That rep was clearly confused.